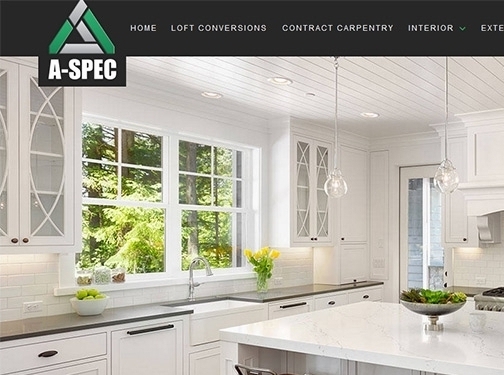 A-Spec is a team of expert joiners and carpenters, working across London and Surrey with private and commercial clients. Whether you are a homeowner looking for professional kitchen fitters, or a developer that needs an experienced team to handle windows, doors and staircases in multiple properties, A-Spec can help. From bespoke media units and shelving to complex projects like loft conversions and extensions, no job is too big or small. The team routinely handle construction projects from design to completion or can assist with specific features within a larger build, including specialist work such as Velux windows and sash windows. Founded in 2008, A-Spec has built up an excellent reputation for quality craftsmanship, attention to detail and a responsive service. The team works with an understanding of how stressful home renovations can be, which is why they work closely with their clients to ensure satisfaction at every step of the way. To see more information about their carpentry services, visit the website today. UK (Guildford, Surrey) based business - established in 2008 - providing joinery and carpentry services. Website includes details of services provided, work examples, testimonials, accreditations, certifications and associations, full contact details.